Here we are again, folks. The New England Patriots and Tom Brady won another Super Bowl. 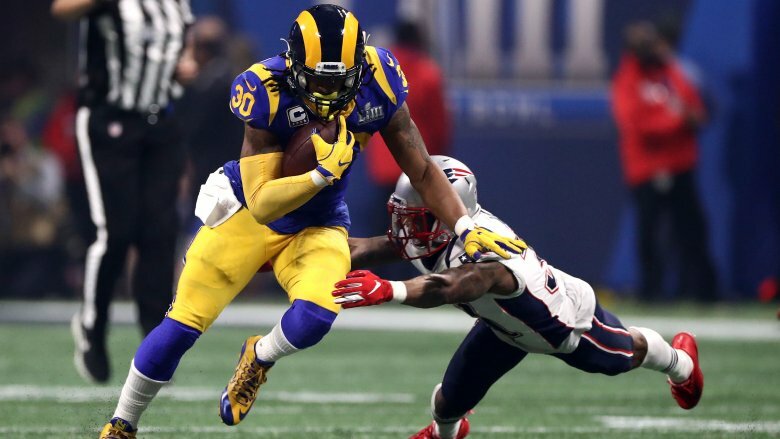 Shutting down the Los Angeles' Rams high-powered offense, Brady and company pulled out an ugly 13-3 win in Super Bowl LIII to claim the sixth championship for the franchise. "It's sweet. It's sweet, Jim," Patriots coach Bill Belichick told CBS' Jim Nantz after the game (per NFL.com). "Everybody counted us out from the beginning the season, mid-season, but we're still here." While there wasn't too much to get excited about on the field (unless you're a big fan of punting), there was plenty of drama happening inside and outside the lines. Were you aware we have a new "Nipplegate controversy?" Who knew Rams left tackle Andrew Whitworth was so morbid? Did we really want to see Andy Warhol in a Burger King commercial? Heat up some of that leftover pizza and those wings and let's Monday morning quarterback the five best and five worst things that happened at Super Bowl LIII. 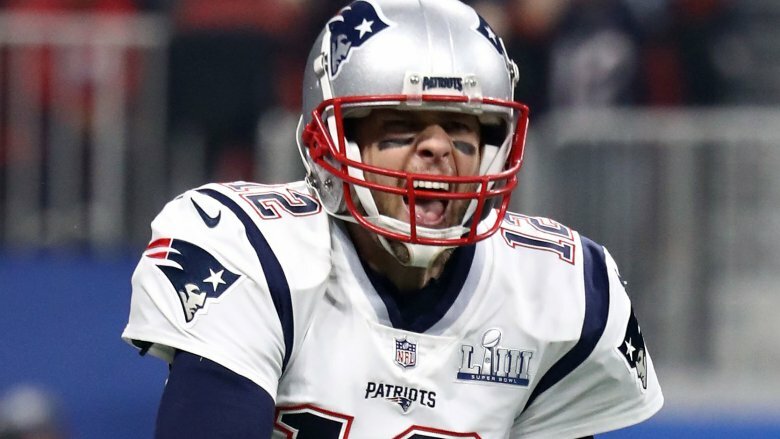 New England Patriots' quarterback Tom Brady entered Super Bowl LIII as the all-time Super Bowl leader in passing yards, completions, pass attempts, touchdowns, and starts. When the final whistle blew, he became the only player in NFL history to win six Super Bowls, breaking a tie with Hall of Famer Charles Haley. We realize this could be a "worst" slide for anybody who isn't a Patriots' fan, but we have to give credit where credit is due. "We been this far and lost, which is really tough," Brady said in his first post-game comments, per Boston.com. "I think we just had a lot of resolve the last couple weeks. I wish we'd played a little bit better on offense, but we won. I can't believe it." When asked if this historical achievement would make him consider retirement, Brady answered, "It doesn't change anything." Sorry, other NFL teams. As Tom Brady left Atlanta's Mercedes-Benz Stadium carrying the Lombardi Trophy, he filled us in on his current plans. "I'm sleeping with this thing tonight!" he said. Worst: The worst halftime show ever? Both Rihanna and Pink reportedly turned down offers to perform the 2019 Super Bowl halftime show in solidarity with Colin Kaepernick. Adele and Cardi B publicly let the NFL know not to bother contacting them with the gig. The NFL finally decided on Maroon 5, and the backlash came quickly. 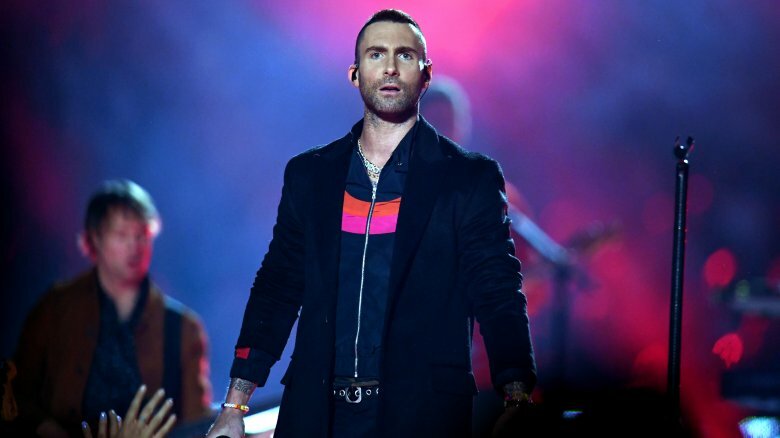 "I'm not in the right profession if I can't handle a little bit of controversy," frontman Adam Levine told Entertainment Tonight a few days before the big game. "It's what it is. We expected it. We'd like to move on from it." Although the band stuck with its hits, its members might not be able to move on from the reviews of their performance. Social media wasn't kind. "This is the Fyre Festival of halftime shows," ESPN writer Kavitha Davidson tweeted. Even The Onion got in on the action, writing the "halftime show was marred Sunday by the stadium's functioning sound system." Ouch. New England Patriots' wide receiver Julian Edelman's season started with a four-game suspension. It ended with being named MVP of Super Bowl LIII. 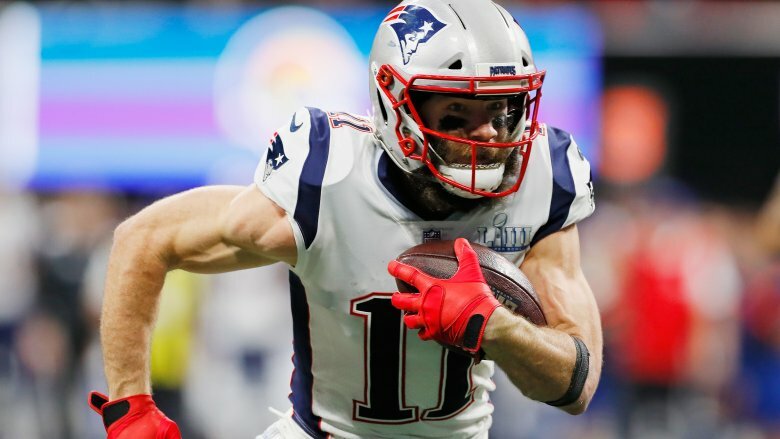 With ten catches for 141 yards, Edelman dominated the Los Angeles Rams defense, which had no answer for the undrafted former Kent State quarterback. Not only did Edelman tear up the Rams, but he also tore up the record books. During the second quarter, Edelman moved past Dallas Cowboys legend Michael Irving to claim the 2nd place spot on the most postseason receiving yards list behind Hall of Famer Jerry Rice. "Your job as a receiver is to get open and catch the ball, and block in the run game," Edelman said after the game, per CBS Sports. "My name was called, I was asked to make a couple of plays and we were able to do that." Worst: What happened to the Rams' offense? According to ESPN Stats & Info, the Los Angeles Rams became the "2nd team in Super Bowl history to fail to score a touchdown", with 45 percent of the team's offensive plays going "for 0 or negative yards." 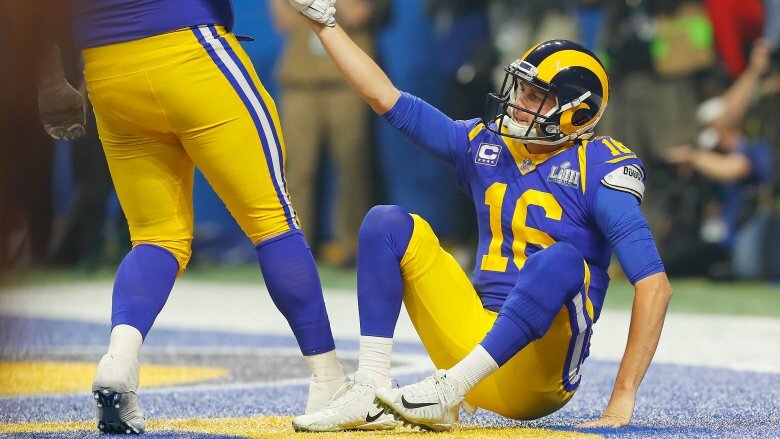 The offense's "inept" performance in Super Bowl LII was a far cry from the regular season, when the Rams averaged 32.9 points and 421.1 yards a game, making them the No. 2 offense in the entire NFL. Quarterback Jeff Goff looked visibly shaken and confused most of the game, making bad play after bad play. "It kills. It hurts," Goff said after the game (via NBC Sports). "It hurts me knowing how well our defense played, against that team, against Tom, and us not holding up our end of the bargain. It's our job to score points and we didn't do that tonight." Rams head coach Sean McVay put the loss as bluntly as possible. "There really is no other way to put it — I'm pretty numb right now," he said. "But definitely, I got outcoached. I didn't do enough for our football team." 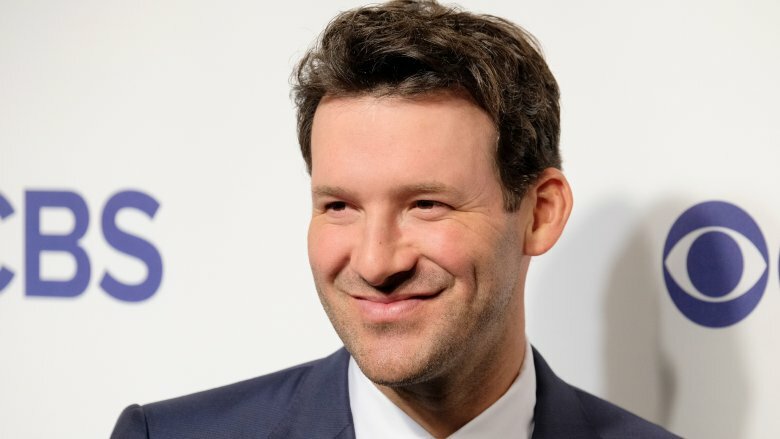 Tony Romo only won two playoff games during his 13-year career as the quarterback of the Dallas Cowboys, but with his preternatural ability to predict plays before they happen as a TV announcer, it's hard to understand why he doesn't have a few Super Bowl rings himself. 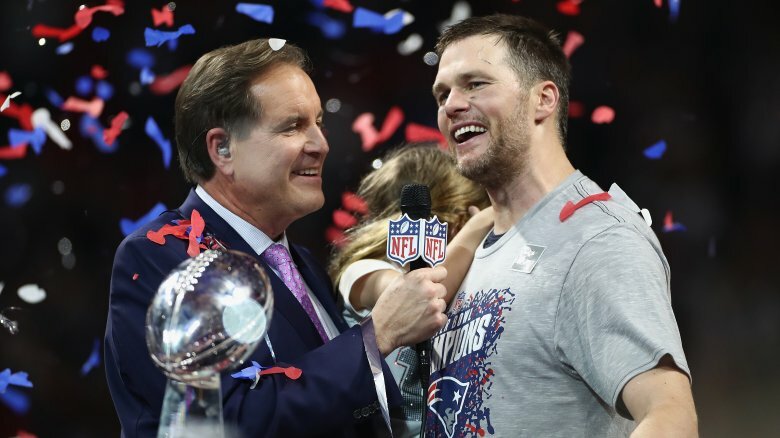 While calling Super Bowl LIII with Jim Nantz, Romo didn't disappoint. Not only did he predict when the Rams would take shots down the field. He even predicted Jim Nantz jinxing Patriots' kicker Stephen Gostkowski, who immediately missed a field goal after Nantz told the viewing audience that Gostkowski had never "missed a field goal in this stadium." Former Colts kicker Pat McAfee tweeted: "Tony Romo even predicted a missed field goal… un f***ing believable." Even NFL players watching at home were impressed. "Tony Romo d*mn near the best commentator I ever listened too [sic]. Dude be seeing the future," Carolina Panthers safety Eric Reid tweeted. Los Angeles Rams' Todd Gurley is the highest-paid running back in the NFL and the team's best offensive player. During the 2018 regular season, Gurley racked up 1,251 rushing yards and 580 receiving yards while hitting the endzone 21 times. However, during Super Bowl LII, the Rams' star back "carried just 10 times for 35 yards," reported The Washington Post, "and lost a yard on his only reception." What happened? Gurley had an undisclosed knee injury late in the season, but after the Super Bowl, Gurley told reporters (via Sports Illustrated), "I know there's been a lot of concern about my knee but I really am fine." Head coach Sean McVay reiterated that claim. "Todd is healthy," McVay told reporters. "We just didn't get a chance to get anyone going offensively, and that starts with me." So if your best player is healthy, why didn't he shine in your biggest game of the year? Everyone seems to be asking the same question. "Can anyone give an adequate explanation for what is happening with Todd Gurley?" FS1's Nick Wright tweeted. "This is one of the most bizarre situations I can ever remember." 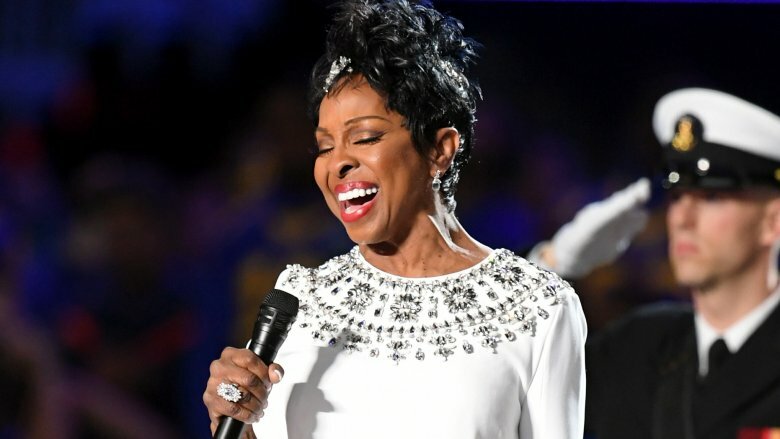 R&B legend Gladys Knight found herself at the center of the Colin Kaepernick controversy when she announced she would perform the national anthem at Super Bowl LLIII in her native Atlanta. The Empress of Soul defended her decision in a statement to Variety, saying: "I understand that Mr. Kaepernick is protesting two things, and they are police violence and injustice. It is unfortunate that our national anthem has been dragged into this debate, when the distinctive senses of the national anthem and fighting for justice should each stand alone." When all was said and done, the 'Midnight Train to Georgia" singer delivered a powerful rendition of "The Star-Spangled Banner" that will go down as one of the Super Bowl's best. Her performance was widely praised on social media, proving that at 74, Knight is a legend for a reason. "Thank you for allowing me this moment to honor our great nation! #SBLlll," she tweeted after the game. Super Bowl LIII, for lack of a better phrase, was an exercise in futility. 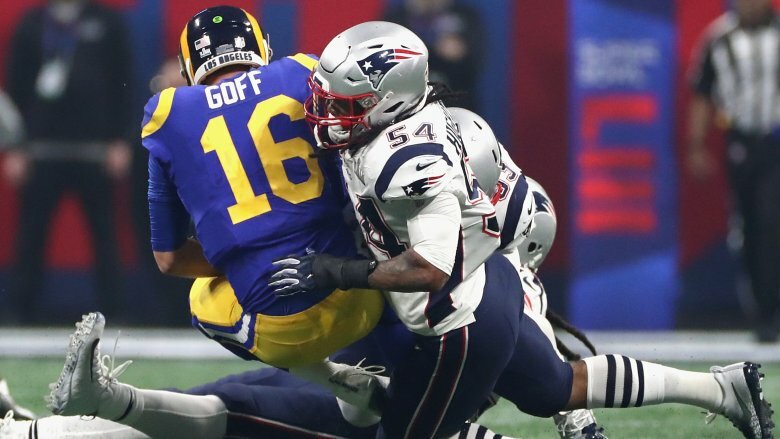 Combining for 16 points, the New England Patriots and the Los Angeles Rams now hold the record for the lowest-scoring Super Bowl in NFL history, breaking the previous record of 21 set in 1973. According to CBS Sports, the two own a few more Super Bowl records they'd love to get back: "fewest points, game, winning team: 13 (Patriots), fewest points through three quarters, both teams: 6, fewest touchdowns, game, both teams: 1, fewest PATs (point after touchdown), game, both teams: 1, fewest kickoff returns, game, both teams: 2, and most consecutive drives ending with a punt, game, team: 8 (Rams)." Oof. We couldn't tell if it was 2019 or 1919 out there. The game wasn't just bad; it was "boring." However, although this game wasn't ideal for the fans, Patriots' wide receiver Julian Edelman doesn't care at all. "It wasn't pretty, but I'll take an ugly win over a pretty loss any day," he said at his post-game press conference. 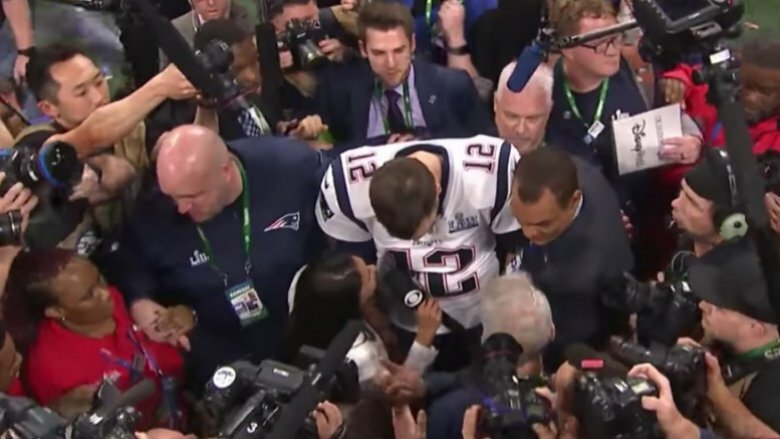 CBS Sports sideline reporter Tracy Wolfson was all set to get the first postgame interview with Tom Brady after his team's 13-3 win over the Los Angeles Rams, but the field descended into chaos in the immediate aftermath as wave after wave of people vied to get close to the NFL star. Wolfson was almost devoured by the oncoming rush but refused to leave until she spoke with Brady. A hot mic even caught a member of on-field security saying to her, "Jesus, are you okay? Just stay tight, all right?" The brave reporter stood firm and got her interview. "It was awesome," Wolfson told the New York Post. "It was definitely a struggle. I joked that the game was an offensive struggle, so it was only appropriate that the winning interview was a struggle, too. That's kind of why you do this job. I embrace it and I love it." Wolfson's fight and grit didn't go unnoticed by the Twitterverse. "Tracy Wolfson put up more of a fight for that interview than the Rams offense did to win the game," Tampa Bay Buccaneers beat writer Trevor Sikkema tweeted. The day after a Super Bowl, America is usually repeating a catchphrase from a commercial from the night before. Whassssup, am I right? Dilly Dilly. After Super Bowl LIII, that's not happening. A Bud Light commercial ending up being a Game of Thrones commercial? In "Cashew," a man was sad when his life was saved because he didn't have an Audi. Okay, then. And what was going on with all the creepy robots? Terminator should be required viewing for advertising executives in 2019. 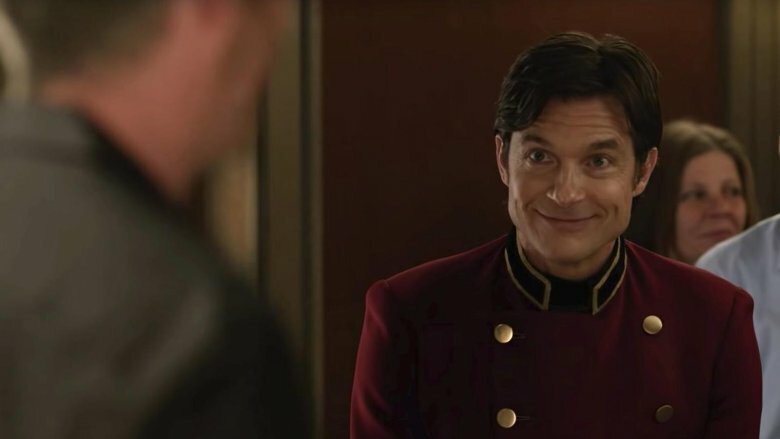 Planters' action-packed Super Bowl ad included the catchphrase, "Go get 'em, nut man!" We're not going to touch that one. But at least we got to see Carrie Bradshaw and The Dude go against they're very natures and enjoy a Stella Artois. We also got to see The Handmaid's Tale quoting Ronald Reagan's 1984 reelection campaign. That was adequately terrifying, huh?